the discounts WOU Staff have? Staff Senate complements Faculty Senate and Student Senate as a component of Western Oregon University’s system of shared governance. It is comprised of elected members from both classified and unclassified staff at the university. Senate business meetings are open to university staff, guests are encouraged to attend. Promoting positive, respectful, and constructive dialogue among staff, faculty, administrators, and students. Advising and making recommendations to the university president on matters relevant to the overall success of the university. Making resolutions on behalf of constituencies to improve professional and personal development. 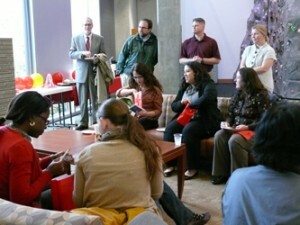 Considering ideas and projects of importance to encourage a sense of community among all university employees.